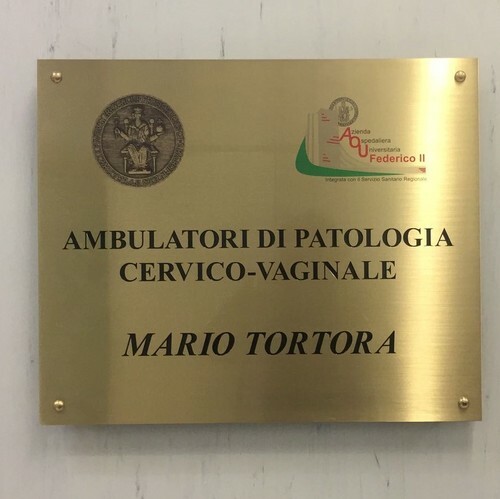 On the 4th of July 2017, the University Federico II in Naples ( Via S.Pansini, 5) dedicated to Dr. Mario Tortora the ambulatories of cervico-vaginal pathology. Mario Tortora was an exponent of the Neapolitan school of obstetric and gynecology and the pioneer of cervico-vaginal cytology in Italy. This plate is located on the ground floor of the building number 9 of the hospital.